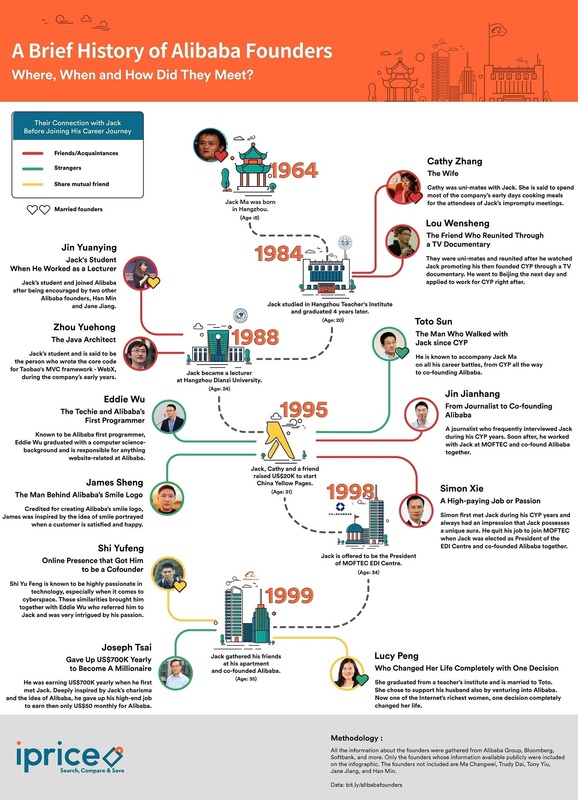 A Brief History of Alibaba Founders #Infographic ~ Visualistan '+g+"
Where, When and How Did They Meet? Recently, Jack Ma announced his retirement from a 19 year in the making the success of Alibaba Group, at the age of 54. He led the company from his humble beginnings back in his apartment to now what is known as an e-commerce giant worth $420 billion today. Along with the announcement, Daniel Zhang was named as the successor of Ma as Executive Chairman of Alibaba Group. 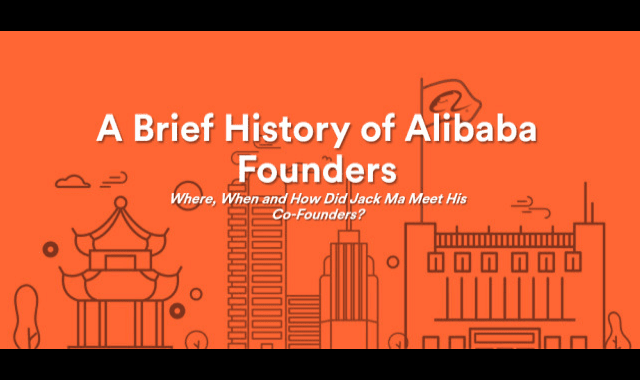 Jack Ma is notably the face of Alibaba, however, there are in fact, 17 other significant individuals that co-founded the e-commerce giant since its inception in 1999. But who are they? Have a look!